Marco Gonzales is a shareholder with more than 30 years of experience specializing in public policy, lobbying and litigation. He advises clients on a diverse range of public policy matters involving legislative strategy, appropriations and agency process at both the state and federal levels. His public policy practice involves many substantive areas, including healthcare reform, telecommunications, technology, taxes, energy rights-of-way, privacy rights, education, and real estate. Marco is an experienced practitioner in the area of civil litigation, primarily involving the Federal Employers Liability Act (FELA) commercial disputes, products liability, class actions, negligence and insurance. Before joining the firm in 1998, Marco worked in the United States Senate as a Legislative Assistant to Senator Pete V. Domenici for 10 years. During his tenure in the Senate, he covered issues related to the Senate Armed Services Committee, the Senate Appropriations Subcommittee on Defense, the Senate Judiciary Committee, the Senate Appropriations Subcommittee on Commerce, Justice, State and the Judiciary and the Senate Veterans’ Affairs Committee for the Senator. Marco was born in Santa Fe, New Mexico and he and his family are deeply rooted in its traditions and history. Marco ran for Congress in New Mexico’s Third District in 2008 and appears regularly as a popular political analyst on local television and radio programs. 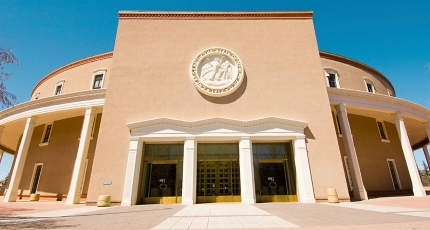 Marco Gonzales represents clients in the New Mexico Legislature and the United States Congress. He has a firm grasp of the rules of the legislative process, a strong sense of how the institutions of government operate and a solid understanding of what works and what doesn’t. He recognizes that the overriding goal of public policy advocacy is to assist clients in solving their problems, as well as to further enhance their image and reputations with policymakers. He regularly testifies on behalf of clients in front of numerous legislative committees including the Legislative Finance, Senate Finance, House Appropriations and Finance, Senate Corporations, House Business and Industry, Senate and House Judiciary, Senate Public Affairs and House Government and Health Affairs Committees. Successfully worked for healthcare clients to obtain increase of funding for Medicaid and Medicaid behavioral health services. Successfully passed legislation for telecommunication clients that places a cap on the taxes that can be charged to cell phone users via the New Mexico Rural Universal Service Fund. Successfully passed legislation for manufacturing clients that provides additional opportunities and choices for New Mexico law enforcement agencies when purchasing police vehicles. Successfully passed legislation for higher education clients clarifying registration requirements and ensuring that New Mexico students can obtain access to higher education loans. Successfully prevented legislation from passing which would have negatively affected the equation the federal government uses for determining the amount of tobacco cessation dollars each state receives. Successfully prevented legislation from passing which would have negatively impacted the precious metals industry. Successfully litigated a FELA claim to a Defense Verdict in Santa Fe County District Court for BNSF Railroad.